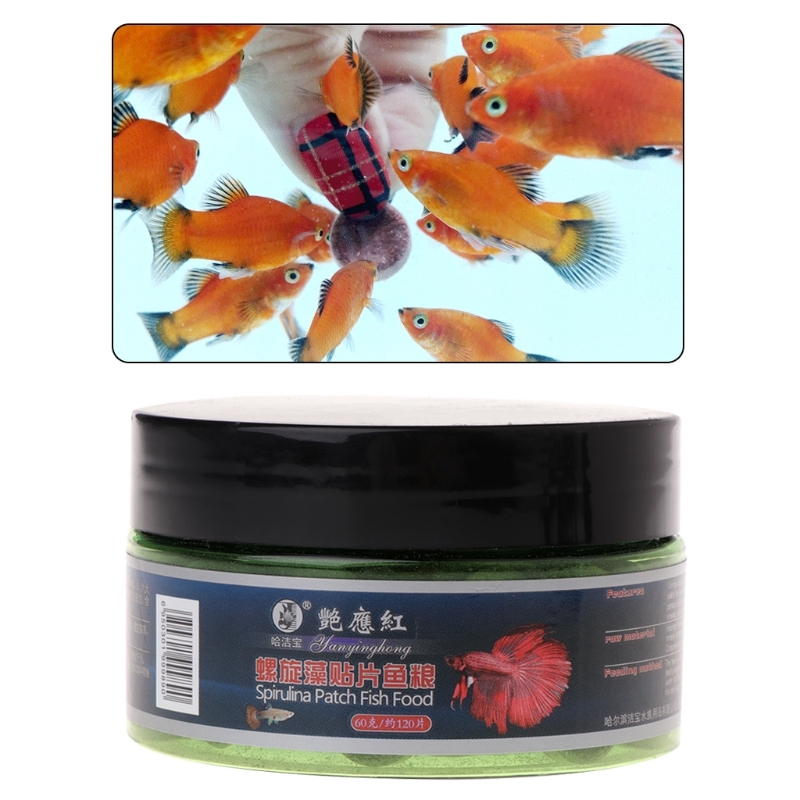 This tablet is a kind of fish forage,which is abundant in spirulina that is good for fish growing. Natural materials will be good for fish to absorb nutritions. When fish are eating,it will be an awesome scenery in fish tank that fish are grouping. Tablet will be sucking on the wall of fish tank and will not float on the water like common forage. Slow solution will allow fish to eat slowly and prevent them from gastrointestinal discomfort. It will not pollute the water condition and will offer a healthy condition for fish. 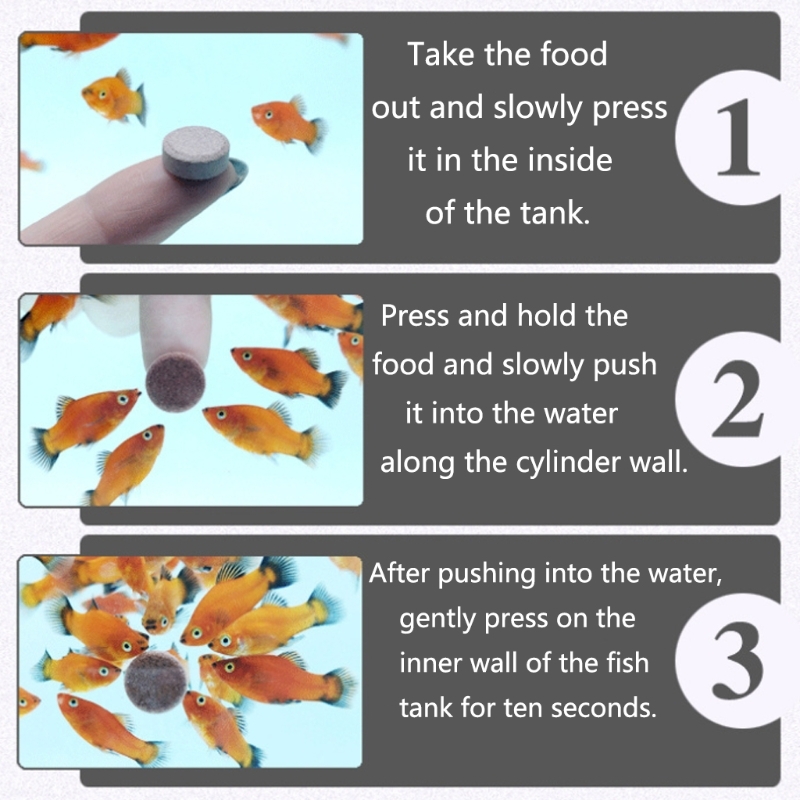 2.Press it and push it into water along the wall of fish tank slowly. 3.Press it lightly for 10s after soaking into water.